Austin City Council is all set for a legal showdown with the state of Texas over a law that prevents the city from enacting an anti-discrimination housing ordinance. Council Member Greg Casar said, “I believe that everyone deserves the freedom to be able to search for housing without discrimination”. In 2014, the City Council issued an ordinance that prohibited landlords from differentiating on the basis of a prospective renter’s source of income. Basically, if an individual offers to pay using the federal Housing Choice Vouchers then landowners cannot refuse him rental accommodation. One year down the line, state lawmakers stymied this ordinance. 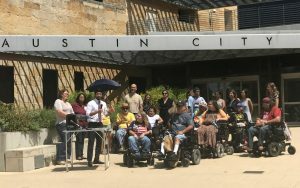 The city’s resolution was based on an audit carried out by the Austin Tenants Council in 2012. The survey showed that only six percent of apartment owners were accepting vouchers. The city found this behavior discriminatory and passed the ordinance. Casar considers the lawsuit a fair step in ensuring that fair housing practices as enshrined in the Civil Rights Act of 1968 are observed. Austin, Dallas, El Paso, Houston and San Antonio have decided to challenge the state’s “Sanctuary Cities” statute that seeks to empower police personnel in dealing with illegal aliens.